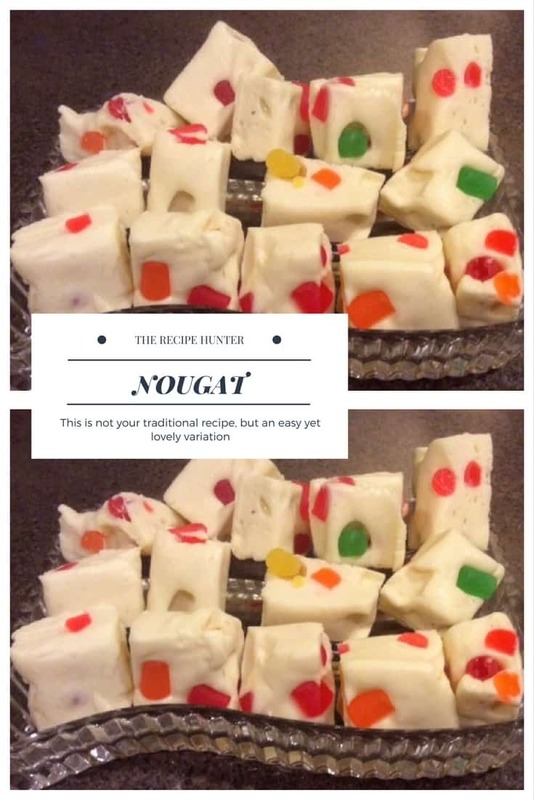 This is not your traditional Nougat recipe, but an easy yet lovely variation. Please ensure that you have everything ready as you should not waste any time, as the mixture will start to set and then the gumdrops may fall off. Spoon out and spread the mixture out on the parchment paper lined 9 x 13-inch pan. Chill overnight in the fridge. Source: I saw this on Facebook, and unfortunately did not notate the original source. These look really pretty. Great for Christmas gifts. Hi Brigid, For sure a great gift addition. I just added this recipe to my Christmas baking list. YUM Thanks. Thanks Bernadette – It’s so easy, and we have our family Christmas bake day on Friday and will be making this again. Hope you also enjoy it as much as we do.